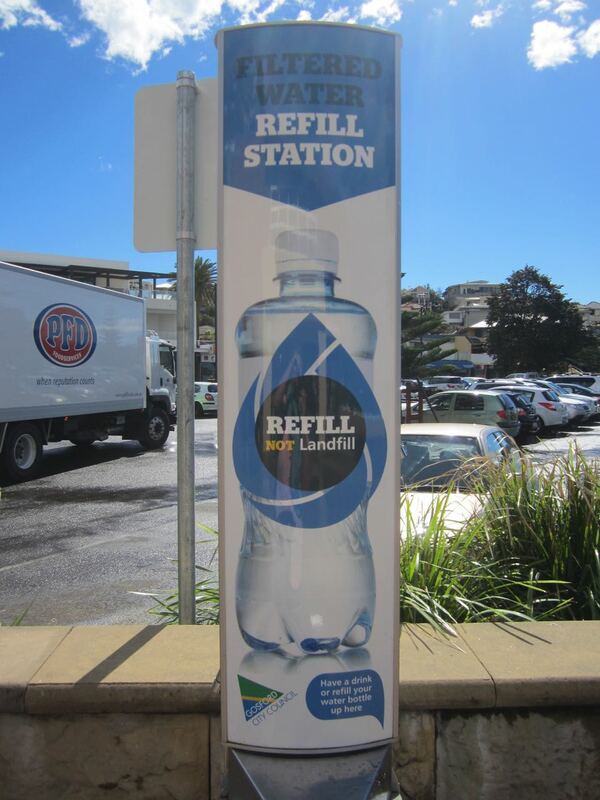 REFILL NOT LANDFILL! 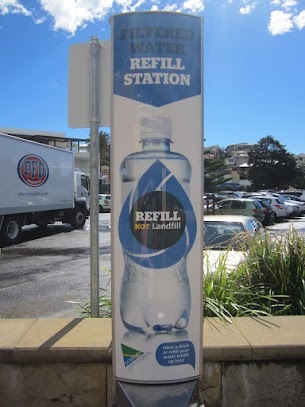 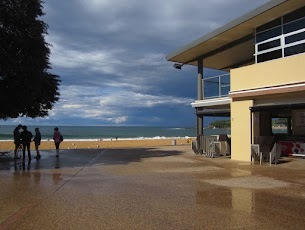 Brilliant initiative Central Coast Australia Council, along every beach, by Surf Lifesavers cafes, clubs, on promenades. Brilliant thinking and action! 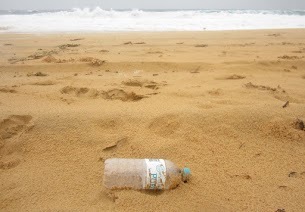 Didn’t see this in West Australia, never seen it on the English or Scottish beaches, not in Europe? 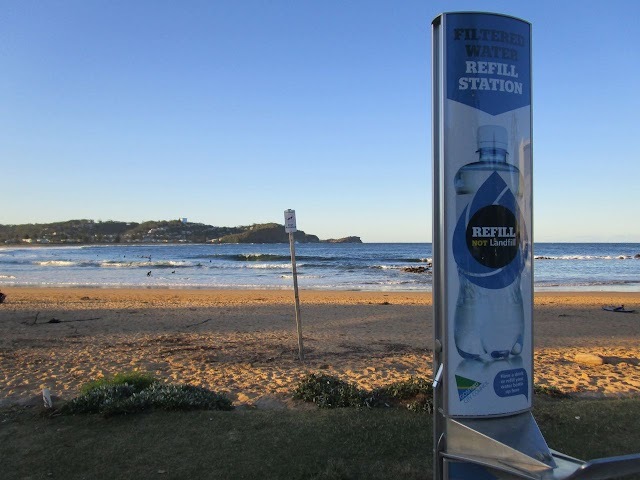 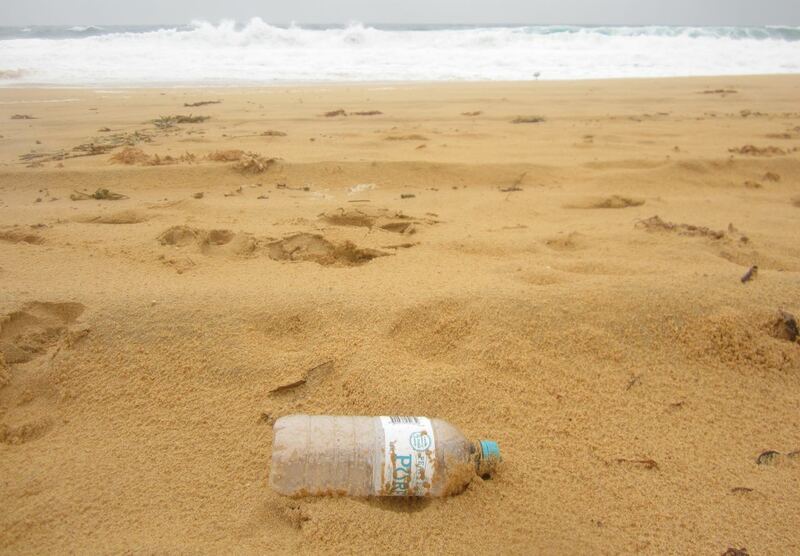 We drink so much water on a beach, in hot countries at least… reduce bottles being thrown in the sea or left on the beach, to reduce litter, to reduce buying stupid amounts of bottled water when tap water is great enough, to reduce landfill. 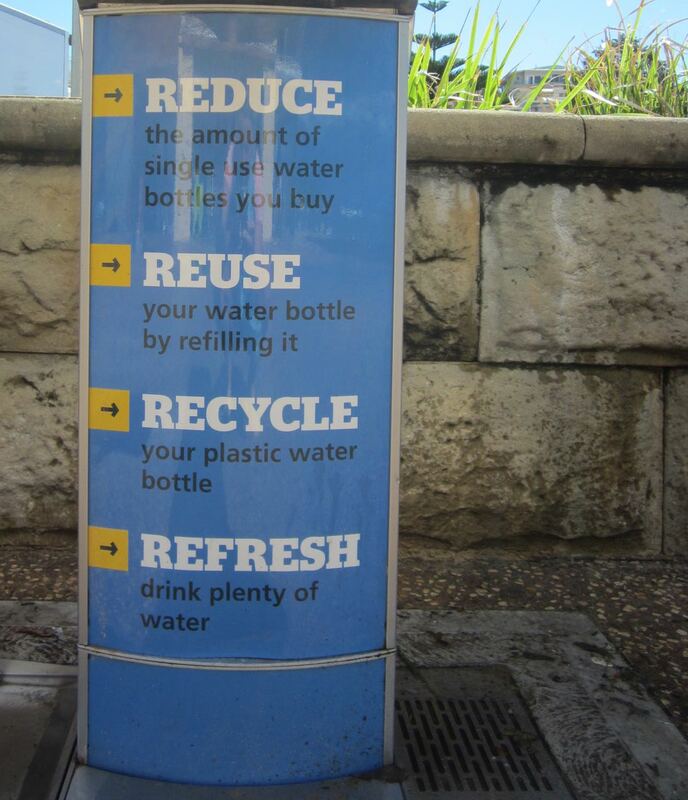 No wonder I was surprised to see so few plastic bottles to document and make with… brilliant. 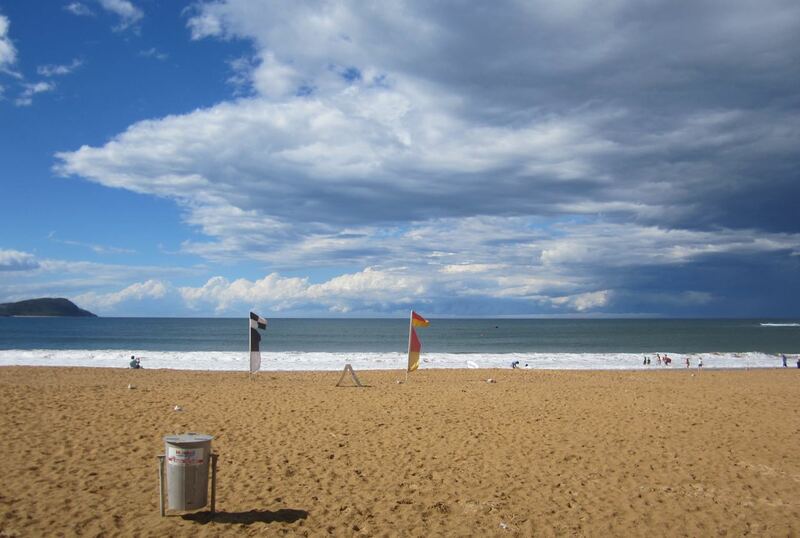 And the cleanest beaches here on the Central Coast, Australia.